Will Google Brillo shake the smart home to its very foundations? 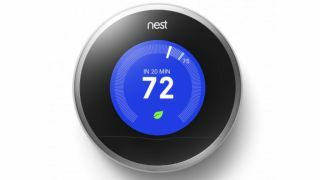 Can Google make Nest part of a wider smart home OS? The Internet of Things is a mess, with standards and protocols up in the air and almost every tech company on the planet claiming that it's their language that the future IoT will rely on. Who wants separate apps to control lighting, heating, security cameras, the TV and the hi-fi? Whether we need yet another wannabe Internet of Things platform promising to be the unifier is questionable, but there's no doubt that Google's Brillo – a new operating system for low-powered devices that will shortly be previewed to developers – could be the platform that at last brings standardisation to the IoT. Google Brillo is all about the smart home. Announced at Google's I/O 2015, Brillo is a lightweight, rather basic backbone for the IoT that will both integrate with Android devices and support Wi-Fi and Bluetooth Low Energy. It will link IoT gadgets (many of which have tiny processors, so need a rudimentary OS) with each other, with phones and tablets, and with the cloud. "Brillo aims to reduce friction in the IoT application ecosystem, making it easier for connected devices to integrate and interoperate with each other," says Jason du Preez, CEO at privacy software company Privitar. Brillo also comes hand-in-hand with Google's new communications protocol called Weave, which is the command language that Google hopes will become a de-facto standard that all IoT devices are built to understand. How significant is Google Brillo? "It's real validation that IoT is here to stay," says Nav Dhunay CEO and founder of Ambyint, which develops IoT systems. "We've now got a powerhouse technology company, Google, backing IoT and making it easier for organisations to build an IoT-based product/platform." It's surely Google's status that is the most important aspect – what Google says, goes. "We're extremely pleased to see what can generally be quite a disparate set of implementation standards become something more standardised," says Mike Crooks, head of Mubaloo Innovation Lab, which works on location-targeted technology. "When it's driven by a major player such as Google, we can be sure that issues we've faced with proprietary standards will be reduced," says Crooks, who compares Brillo with iBeacons. "With beacons, if Apple hadn't produced a standard for the technology, the technology wouldn't have taken off as it has – and Brillo has the potential to do the same for IoT standardisation as Apple did with beacons." With Brillo, Google is saying that it thinks the IoT needs apps, not the internet. "Brillo also made it clear that the traditional web model would not work for IoT," says Dhunay. "We're going to be seeing a shift towards more of an app ecosystem relying on an IoT infrastructure." Crucially, Brillo and Android apps will go hand-in-hand. "The fact Brillo is supported in the latest versions of the Google Play Services – the toolkit our Android experts use to help develop applications – means adoption in apps will be much quicker than needing to use a patchwork of other frameworks," says Crooks.